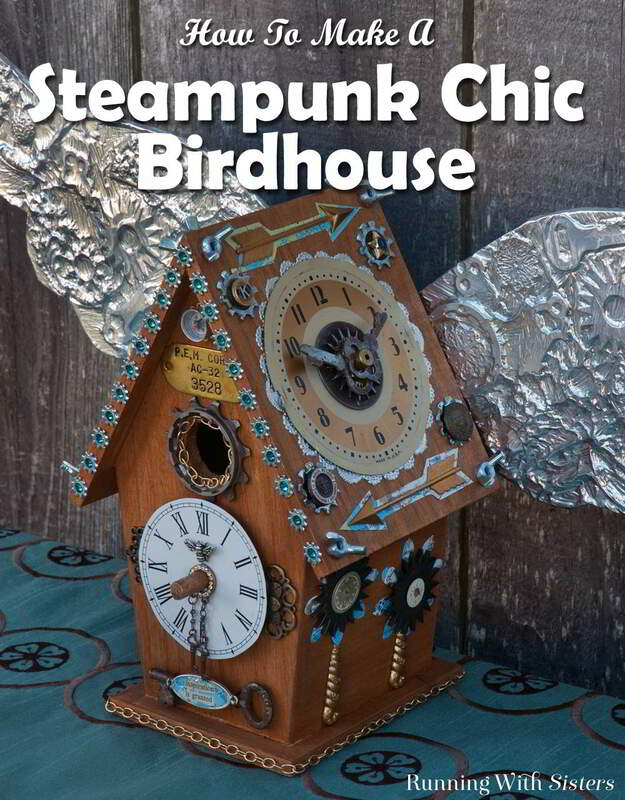 We made this Flying Time Machine Steampunk Birdhouse for the cover of our book Steampunk Chic. It turned out so pretty, we wanted to share it with you. 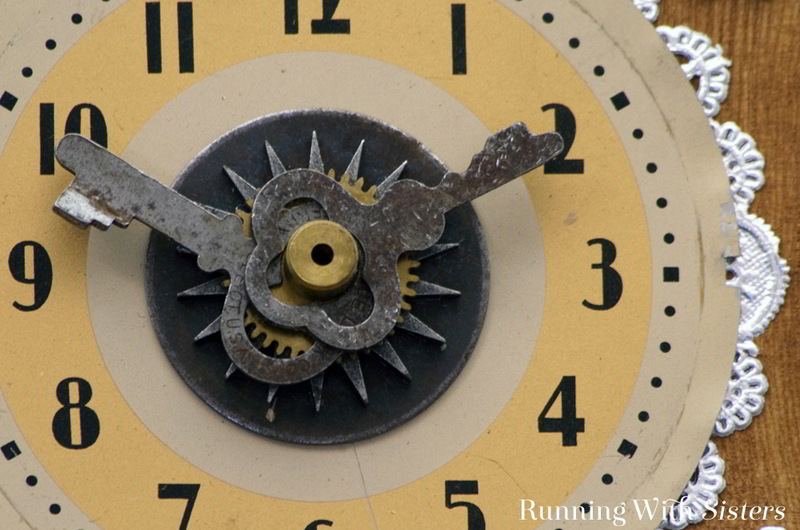 We love old keys and clocks and other things that have a steampunk feel. But we like to combine them with rhinestones and doilies and other pretty things to make what we call Steampunk Chic! 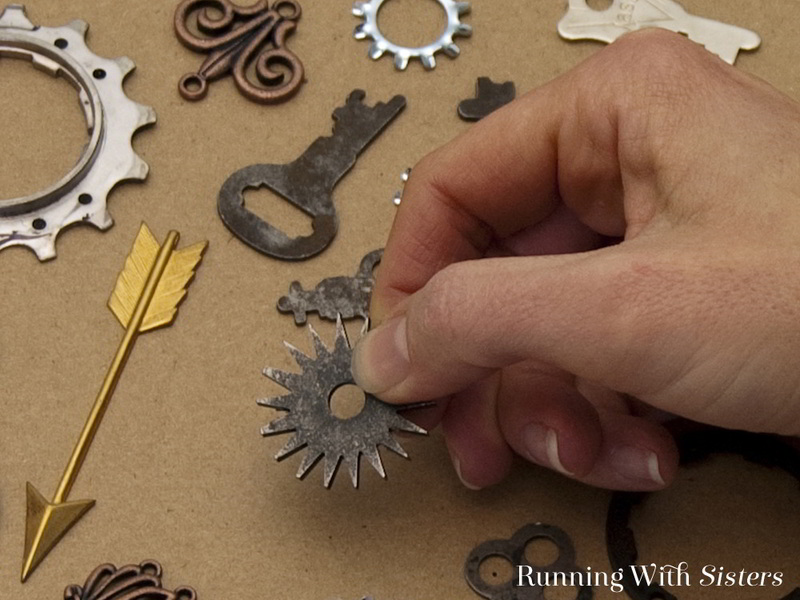 Make a Steampunk Birdhouse with old skeleton keys, clock parts, chains, and gears. 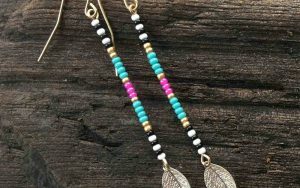 Make it chic by adding silver and rhinestones! 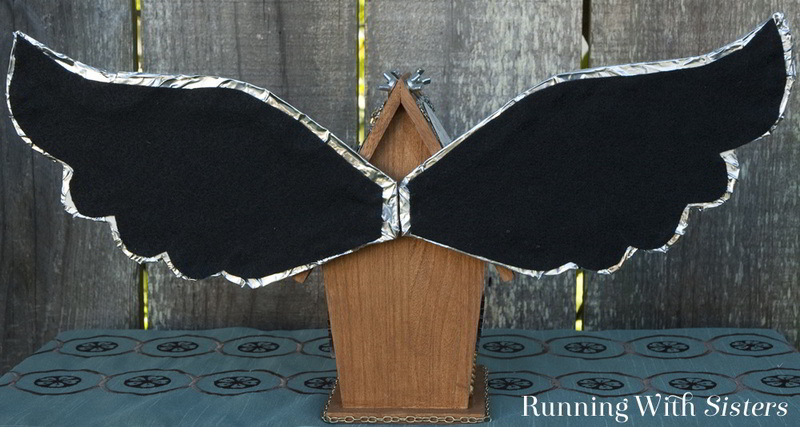 This list and these instructions are to make the Steampunk Birdhouse just like we made it. We encourage you to make it your own. You probably can’t find all the same little affiliation pins we did. Just find what you like and use it. We put our complete instructions here just to help you get started. Have fun! 1. Start by the staining the birdhouse with two coats of stain. Let dry between coats. 2. To make the wings, remove the front and back covers of the hardback book. Cut a wing shape out of one of the covers. Lay keys, star-shaped wheels, and bicycle gears on the wing. 3. Cover the wing with a metal sheet. Emboss the metal with the burnishing tool using the nylon universal tip. Be careful not to poke through the metal. 4. 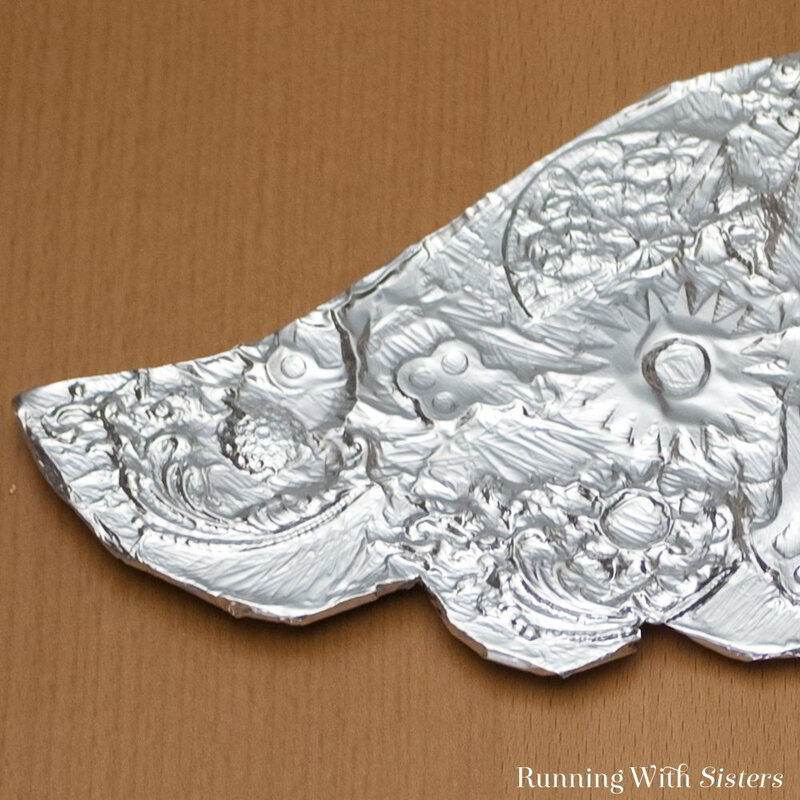 Remove the interesting items and wrap the burnished metal around the wing. Cut a piece of felt to cover the back of the wing and glue down with Fabri-Tac. Repeat to make the opposite wing. 5. Glue the wings to the back of the birdhouse, attaching them with Quick Grip across the eaves. Glue two shims of foam core between the wings and the birdhouse. 6. 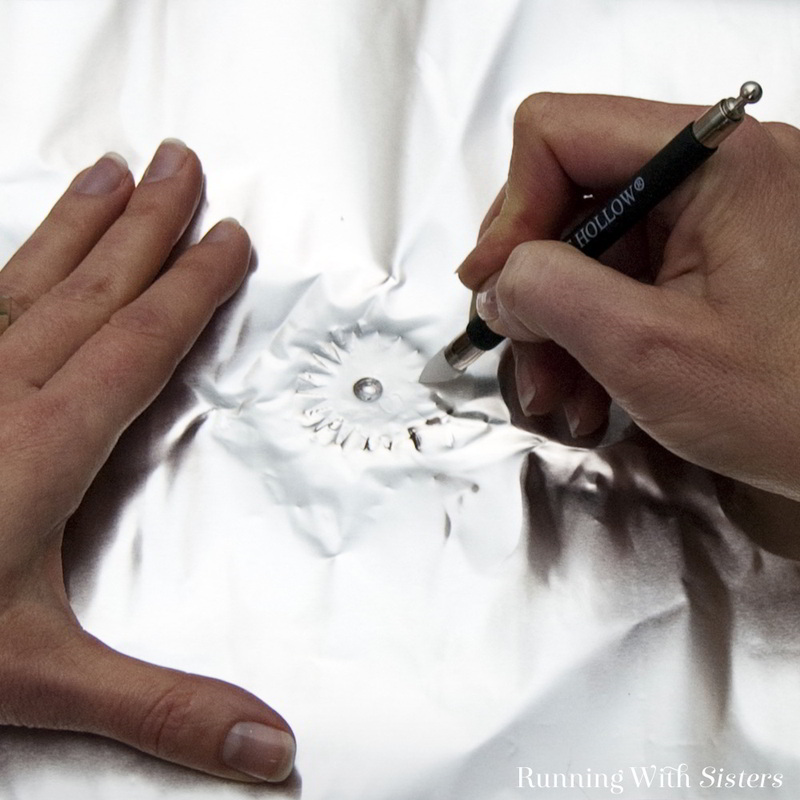 To decorate one side of the roof, glue a silver doily in the center with Quick Grip. Glue on a large clock face, then glue a star-shaped wheel to the center. Add the clock gear assembly and slip two flat keys over the axle. Arrange the keys to look like clock hands. 7. Embellish the rest of the roof by layering map cutouts and arrows, washers and affiliate pins, and wing nuts. Repeat to decorate the other side of the roof. 8. 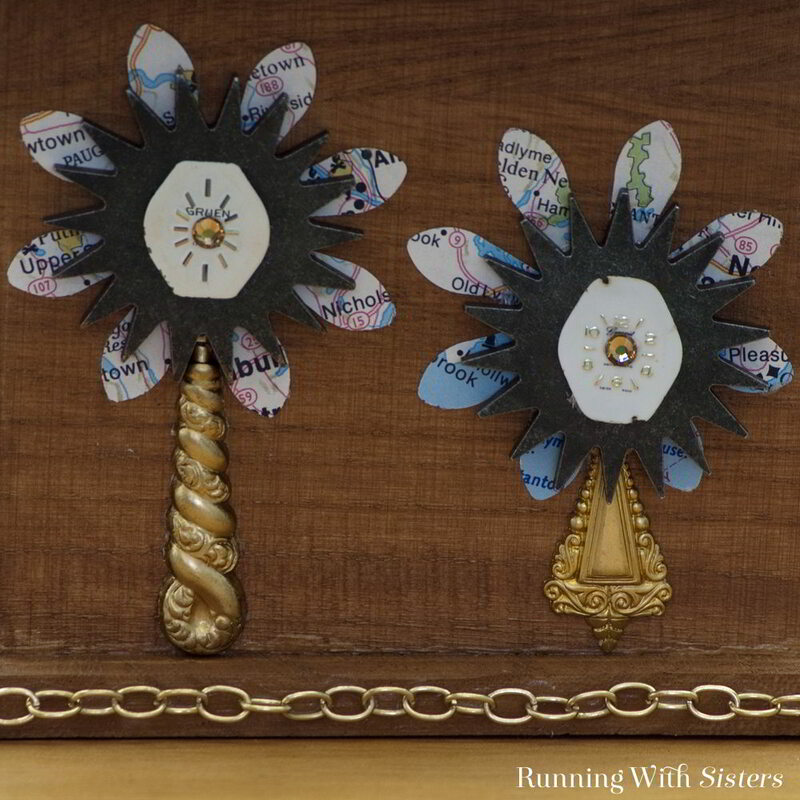 Adorn the sides of the birdhouse by making flowers using the flower punch and the old map. Layer the center of each bloom with star-shaped wheels, watch faces, and rhinestones. 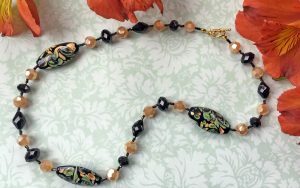 Create stems with the brass seashells. Glue gold chain around the bottom edge of the entire birdhouse. 9. To decorate the front of the birdhouse, glue the bike gear around the opening to the birdhouse, then glue a piece of gold chain around the opening. Glue a metal tag and a small compass placed on a small filigree round over the door. 10. 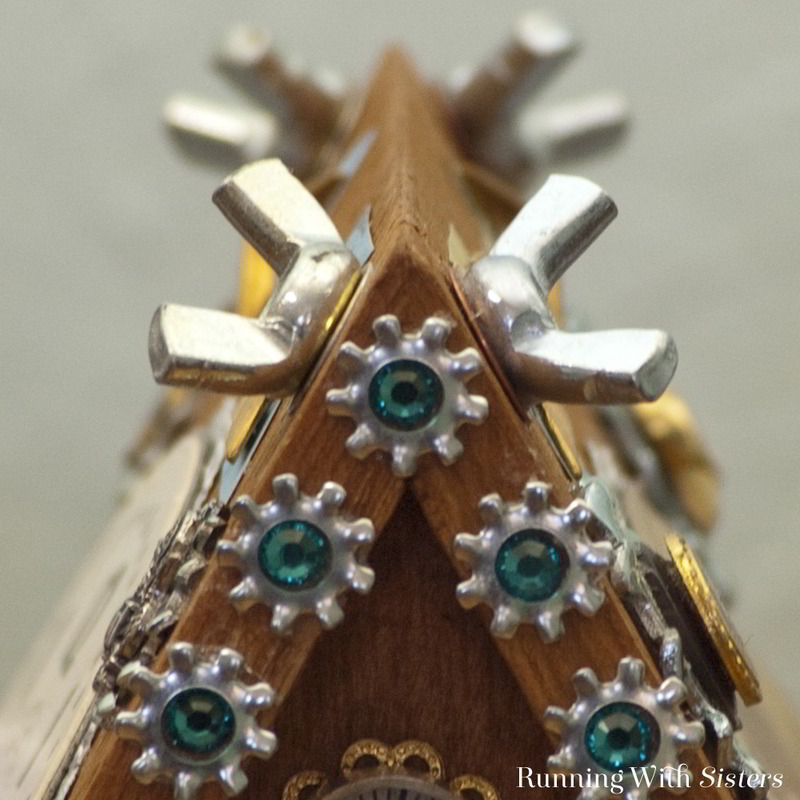 Embellish the eaves with locking washer and rhinestone florets. 11. Fit a clock face over the post, enlarging the hole if needed with a hammer and nail. 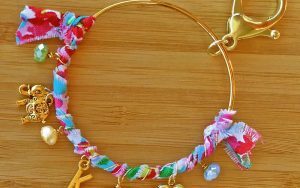 Decorate it with a bee charm and flank the sides with a 2-piece clasp, one piece on each side. 12. 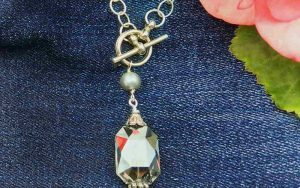 Using pieces of copper chain, attach two tiny key charms from a rhinestone circle charm, then slide it over the post. 13. 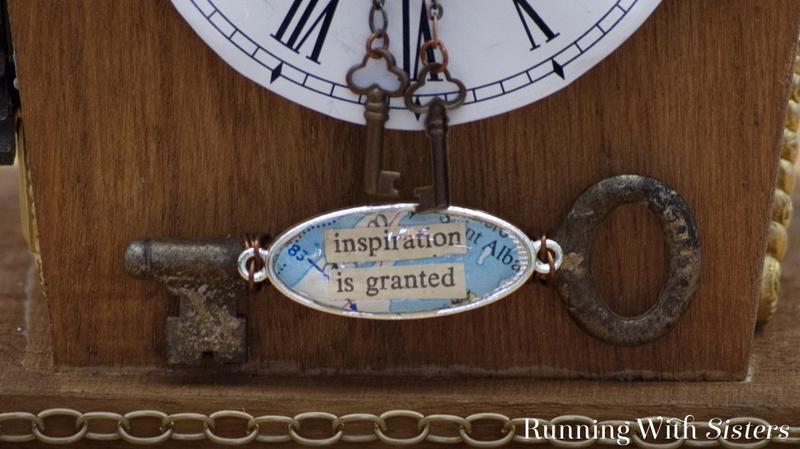 To make the message key, cut a piece of map to fit in the oval frame charm and glue onto the charm. Cut an interesting phrase from the paperback and glue onto the map. 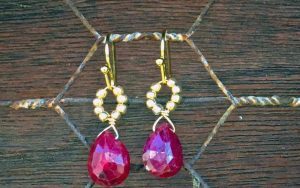 Cover the surface of the oval charm with Magic-Glos resin, then take outside into sunlight to harden for 15 minutes. 14. Wire the message charm onto the furniture key with copper wire. 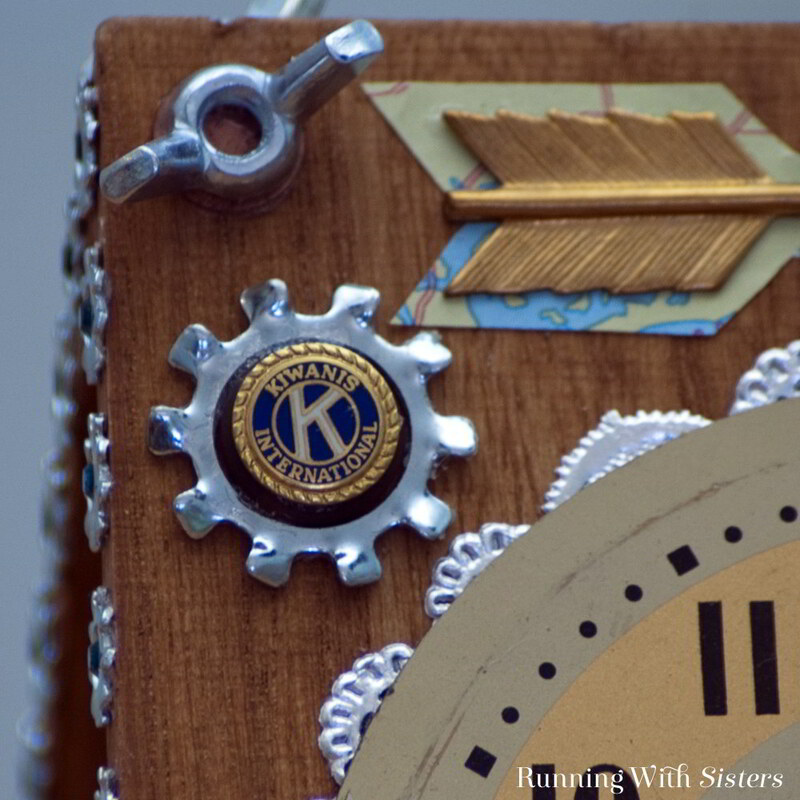 Glue the message key to the front of the Steampunk Birdhouse beneath the clock face. Interested in more Steampunk Chic projects? Check out our book Steampunk Chic! 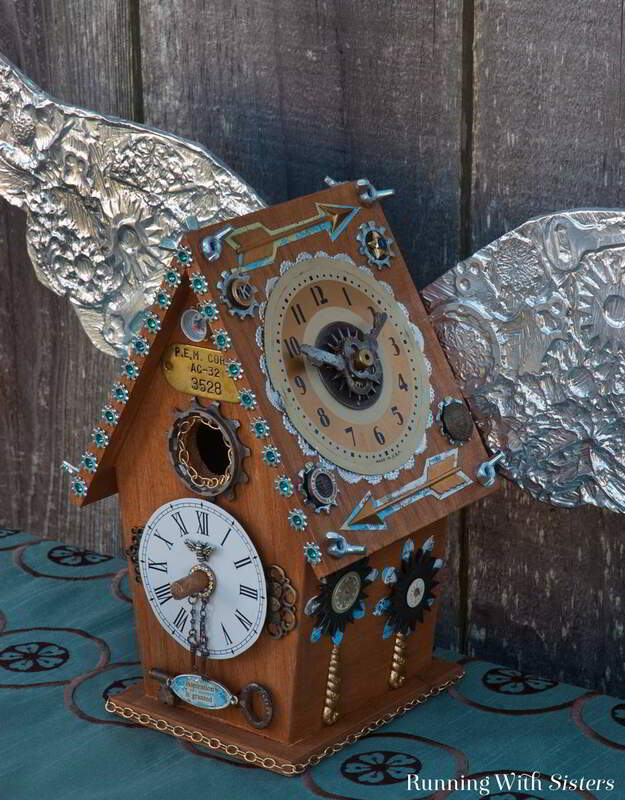 You can decorate your Steampunk Birdhouse with whatever combination of clock faces, hardware, and vintage finds you like. For inspiration, browse photos of Victorian architecture and gingerbread houses.